This post is for my sister-in-law, J.
I subscribe to Pau.la Dee.n’s magazine, and look who’s on this month’s cover! Yes, airbrushed to the max. She looks the SAME on every cover. Somewhat scary, lol. Rebekah, both really! I just think they are darn cute and good guys to their Mom. And bonus! they can cook. lol. 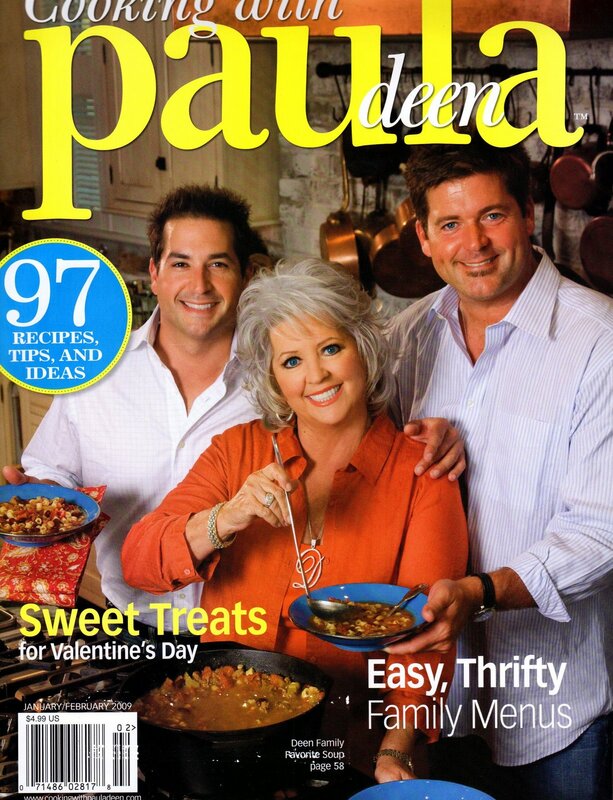 Paula definitely looks airbrushed in this photo! So are you more into Jamie or Bobby?